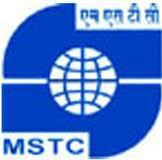 MSTC Limited invites applications from eligible candidates for the employment of Stenographer and Computer Assistant Vacancies. See full details. Educational Qualifications: Graduation + Diploma in computer application.